Let these microwaves bring you down from that 1980s high, nice and easy now. 1. All right, ‘Stranger Things’ fans. You watched the show’s whole season and now it’s time to stop obsessing over the past. These 1980s microwaves will gradually ease you back to the present. 2. You have to break this cycle of reminiscing before you do something drastic, like buy a Power Glove off eBay. These microwaves may be dull, but they have just enough 80s nostalgia in them to help you resist your cravings. 3. We would never ask you to cut your ‘Stranger Things’ world cold turkey. You’d instantly relapse, and start assembling a playlist of New Order songs while jamming your face against a Members Only jacket. 4. What sort of life do you want for yourself? Always roaming between ‘The Goonies’ viewing parties, desperately searching for your next fix of yesteryear? You’re better than that. 5. You can do this. Don’t let Barb addle your mind with her addictively 80s fashion. Next time you’re tempted to wear a frilly plaid shirt, just stare at this microwave until the urge passes. 6. Eventually you won’t even need these obsolete microwaves. Look at this list of microwaves three times per day, then after a month cut back to once per day, then after another month of that you’ll be cured of your nostalgia. 7. Ok so we know this is a far cry from a bunch of teens decked out in denim jackets and scrunchies driving around in a Ford Pinto, but let’s see if you can handle this 90’s microwave to ease you back into the present. Don’t be frightened by it, just see if you’ve made enough headway to see a thing from a different era than ’Stranger Things’ takes place in. 8. Very good. Now here’s a little treat for really pushing yourself on that last one: a 1980’s microwave. 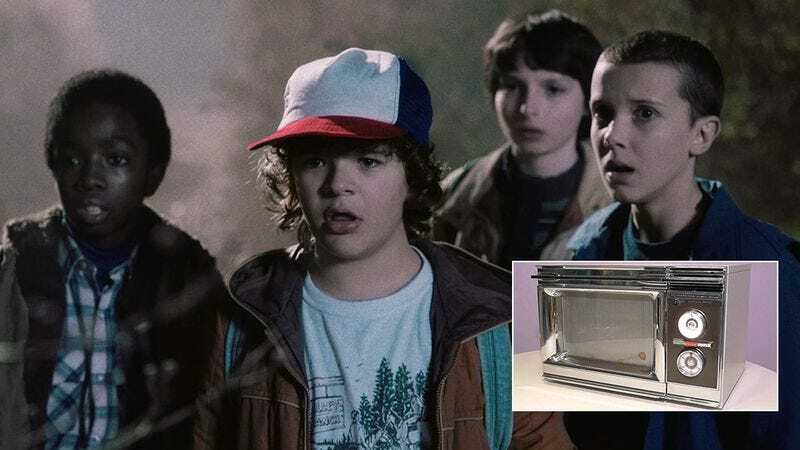 For now you can rest, ‘Stranger Things’ fans. You’ve made excellent progress today.